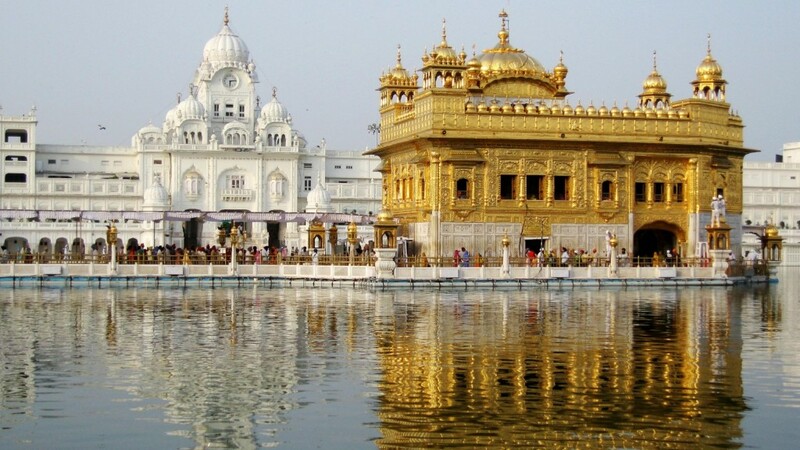 Amritsar is well known for the biggest and most sacred places of Sikh religion as the Golden Temple is located here. Since ages, Indian as well as foreign tourists makes a visit here and it is a major place for people following Sikhism. However if you are in Amritsar, apart from the Golden Temple there are many other point of interests to make your trip a memorable one. Below mentioned are the top places that you can explore when you visit Amritsar. Golden Temple: As already mentioned this is a sacred place for the Sikh religion and tourists from all over the world come here and pay their respect and prayers. The mystic pond of the Gurudwara, the religious vibes and the Kada Prasad that is offered here are divine and once in Amritsar, the highlight will always be the Golden Temple. Jalianwala Bagh: Jalianwala Bagh is located very close to the Golden Temple and if you are on a trip to Amritsar, missing the visit to Jalianwala Bagh is not possible. This is because the place has its roots with the Indian History when a massacre happened here on 13th April, 1919. The day will always be remembered as people were gathered in the ground to celebrate Baisakhi, which is a harvest festival in the Punjab region and the British Army led by General Dyre fired on them and killed everyone including innocent children and women. 379 people lost their life and 1100 people were wounded. Post Independence, in 1951 on the same place a memorial was built in the memory of the people who lost their lives. People come here to pay their homage. Wagah Border: Wagah Border is the boundary line of India and Pakistan and it is a great point of attraction among tourists because ceremony of Beating Retreat and Change of Guard take place here and tourists from both India as well as Pakistan come and visit here to see the enthusiasm of the armies of both the countries. It gives a patriotic feeling to be around the various ceremonies that happen every day. Located at a distance of just 30 KM from Golden Temple, this is a great place to be. Durgiana: Durgiana is located at a distance of just half kilometers from Golden Temple and you can visit here by taking a walk. This is a major Hindu Temple of Amritsar dedicated to Goddess Durga and it is a look alike of Golden Temple. Built in 1908 by Harsai Mal Kapoor, the temple has the statues of Lord Hanuman, Mata Shitla, along with Lakshmi Narain. Tarn Taran: Tarn Taran is situated at a distance of just 22 KM from the famous Golden Temple of Amritsar. It is a famous site of pilgrimage for Sikh Religion and there is a beautiful Gurudwara situated in Tran Taran and it was built by the fifth Sikh Guru, Arjan Dev. According to Sikh believe, the pond in the Gurudwara is of a great importance as it is the biggest and most sacred ones among the Sikh shrines. Sikh devotees make a visit here on the New moon day of each month as it is considered as a sacred time for them. Hari Ke Pattan: Located in Tran Taran district of Punjab, Hari Ke Pattan is the biggest wetland found in the north part of India and it is also known as Harike Wetland. This is a man-made wetland that spreads across the major regions of Punjab including- Amritsar, Ferozepur and Kapurthala. People come to this wetland to see the various species of snakes, turtles, amphibians and fishes. Maharaja Ranjit Singh Museum: Maharaja Ranjit Singh Museum is located in the Lawrence Road, Company Bagh of Amritsar. This is famous museum dedicated to the Maharaja Ranjit Singh, also known as the- Lion of Punjab. He helped in making most of the parts of Punjab free from the Mughals. One can expect a great light and sound show every evening along with the trivia of the great king and his activities displayed in the museum. The museum dedicated to Maharaja Ranjit Singh Museum is a popular attraction among people of all age that come and visit Golden Temple of Amritsar. They feel proud of their king who fought with bravery and set an example for the fearless and strong community- Sikh. Dhanoe Kalan: Dhanoe Kalan is located at a distance of just 34 KM from the Golden temple. It is a small where Pul Kanjari or Pul Moran can be found. This is also the village where the great King of Punjab, Maharaja Ranjit Singh used to relax and take rest after traveling to the various lands. Hope the above mentioned information helps you in planning a memorable trip to Amritsar. There are many more places where you can visit and explore the culture of Punjab. If you are looking for a vacation which helps you to revisit the history of India then undoubtedly Amritsar is one among them. To make the experience a memorable it is always important to select a good Amritsar tour package for you. You need to check the places of visit which are included in the package of the tour offered by the tour and travel companies. If the budget and the inclusions suit your demands then you can get them booked. On the other hand if you find some places missing and want to add them in your travel package then ask for package customization. Reputed tour and travel companies will be ready to offer you customized packages. If you have good amount of days in hand for leaves then add few more destination in and around Amritsar to make the trip a complete happening one for you. Ensure to check the reputation and experience of the company from which you are planning to book the Amritsar package. Plan your next travel dates and book the package for Amritsar. This entry was posted in Temples in India and tagged 2 days in amritsar, amritsar tour, golden temple tour. Bookmark the permalink.